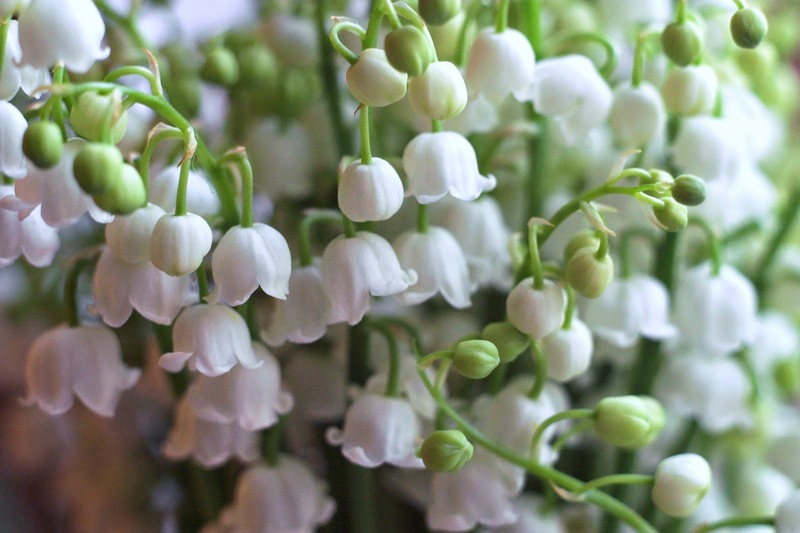 One of the prettiest flowers in the spring landscape is Lily of the Valley. It is the birth flower for the month of May. 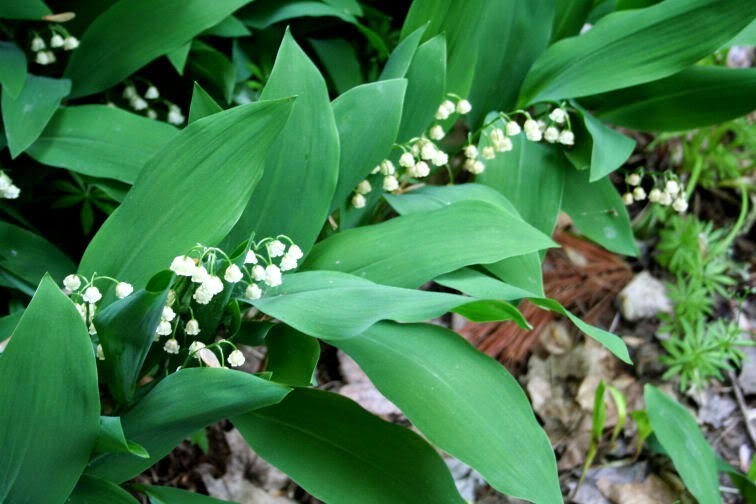 Lily of the Valley's tiny bell-shaped, richly fragrant flowers usually bloom from late April through May. Grown from rhizomes, the plants grow to a height of approximately 6 inches tall and and 6 to 12 inches wide. It prefers a shady spot in rich moist soil. 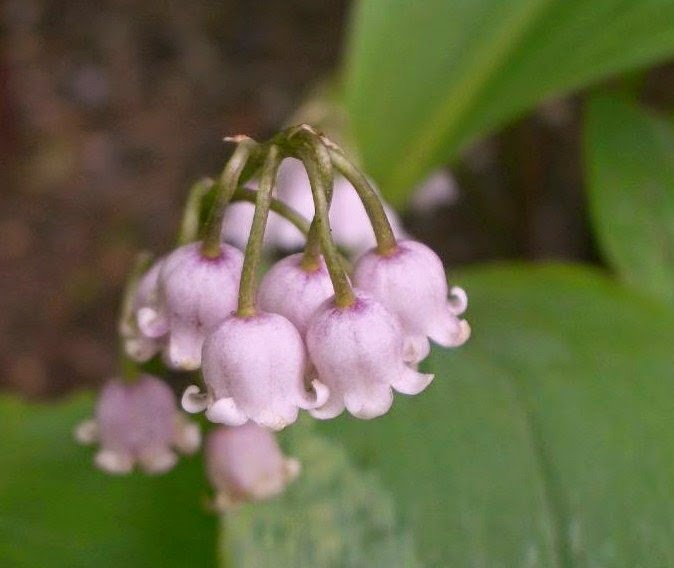 Besides pretty white flowers, Lily of the Valley can also be found in a delicate shade of pink. 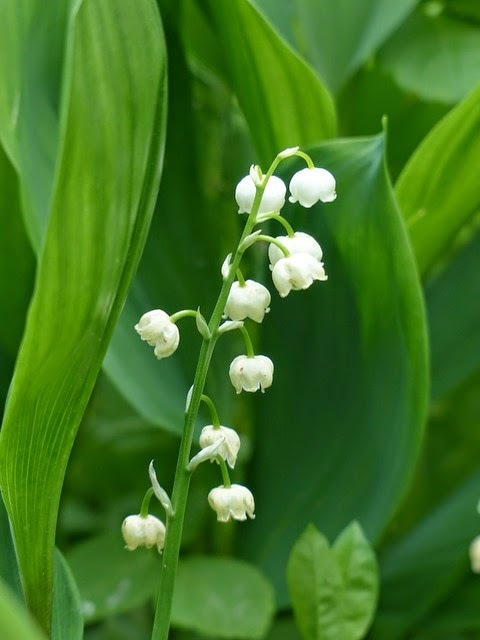 As for it's meaning, Lily of the Valley signifies humility, sweetness, and purity. The plant is also sometimes referred to as Lady's Tears. 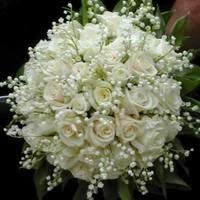 or used as a simple mini bouquet. Thinking more along the lines of something more formal? Lily of the Valley is absolutely stunning when added to a May bride's wedding bouquet. 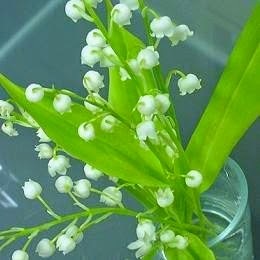 Keep Lily of the Valley in a shady, moist spot and she will continue to spread her intoxicating sweet fragrance and grace your garden with her dainty bell-shaped flowers for years to come. First of all, I am a huge fan of your photography. These shots are stunning. I have never seen pink Lily of the Valley! I bought a house last March and I was pleasantly surprised when a flower bed by my front door ended up being covered in Lily of the Valley in Spring. I remember the first perfume I ever had was Muget de Bois and the smell of LotV has always felt special to me. Thanks for your comment regarding my recent blog post about lily of the valley. Their scent is just heavenly. I do submit many of my own photos for my posts, but I also use photos from morguefile.com. Right now the only thing I have blooming are daffodils. It's just been so cold and everything is getting a late start this year. I love your blog! Flowers add color and heat to your garden and if the flowering plants area unit organized within the correct approach then your garden are often a stunning piece of art. Flowers thrive well in gently acidic soil, that is, hydrogen ion concentration level . I agree, Jane, Lily of the Valley is really special, in looks and scent. I have a special fondness for it because when I was about 12 I embroidered a design of these flowers and somehow the memory has always stayed with me. I didn't know they come in pink either. I don't think I've ever seen it growing around here, I just see it in flower shops.